lets see some members cool narcissus memorabilia.. I remembered on the deep dark depths of my hard drive this hand-drawn blueprint I did when I was 14 or 15 years old, years ago...I scaled it from the Halcyon Narcissus kit! Brings back memories. WOW! do you have a cross section as well? This is beautiful! You are really good at this stuff Space Jockey! I think I did have a cross-section, I put all three on a large sheet, with the intention of doing an interior section-cut too, but I got busy with school and never got around to it... 15 years later, I'm drawing it all up on cad. This will probably be the next project after Nostromo. I only scanned these images before I left England for the US a few years ago, and I'm pretty certain they are still in storage somewhere in my folks house. basically I am just looking for a comparison of the angles in degrees... 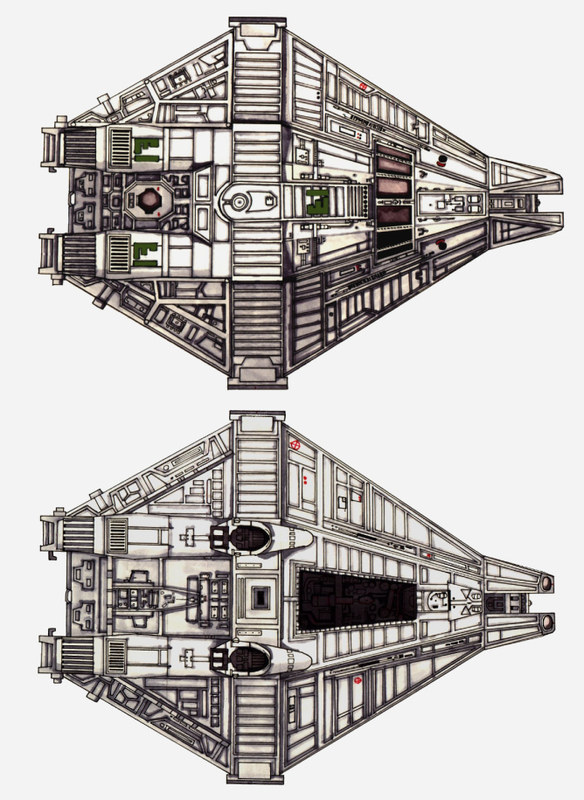 These are superb diagrams, I am thinking of doing a shuttle, I have something planned that Phase Pistol is going to help me with, but that is another story with a sordid history from others that needs cleaning up..
. These diagrams have an excellent ratio and clarity. They would be very usable to a near future project. ... which actually looks pretty much just like the fullsized set and the "forced perspective"model that they built! Actually I think I like this representation of the shuttle better than the film version..it looks like a real lifeboat....very cool pic! Joseph, I almost agree with you... Yes, Cobb's design really looks like a space lifeboat and I like its exagonal shape (I'll turn one of my Narcissus models into this version someday if I have time) ! however, I think Martin Bower & Bill Pearson were right when they changed the front, because adding length and a nose turned this ship into something much more dynamic... and dynamic it had to be to escape the refinery in time before it exploded !!! 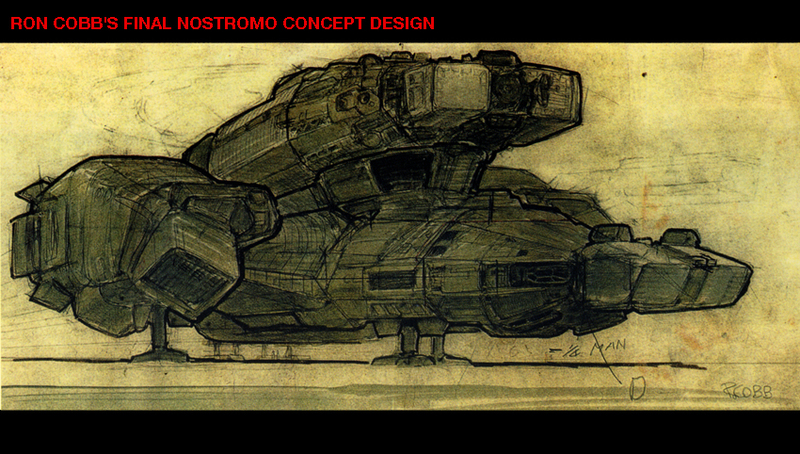 BTW, found this Cobb design for the Nostromo in "From sketch to screen", a book about SciFi & Fantasy models published in 1997 by Strange Light (UK). The Narcissus escape unit first appeared in our workshop in the form of a cardboard mockup of only the rear section which had been built full size for the final sequence. The only drawing we had (Note : He's refering to Cobb's "lifeboat" design here) seemed to indicate that the front mimicked exactly the shape of the rear, but minus the engine pods. Martin & myself drew this up and it looked very squat and, we thought, "frankly, awful". 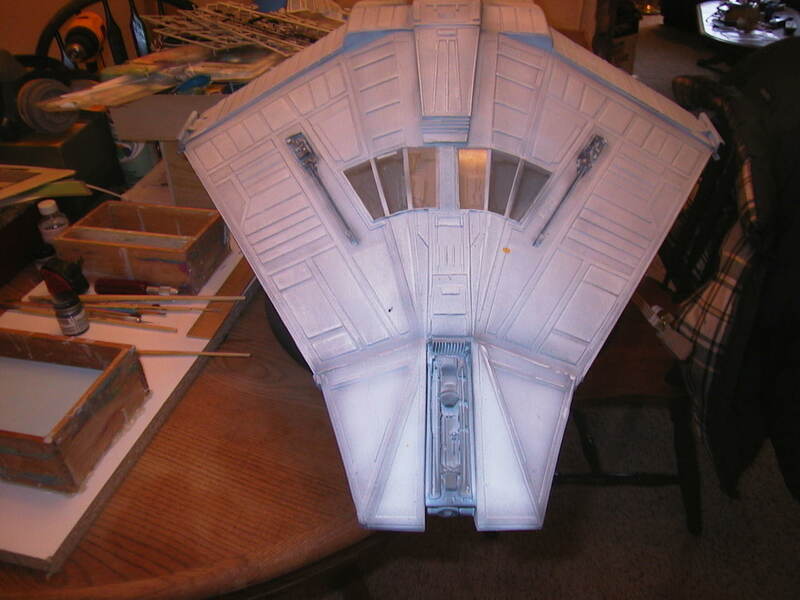 Our compromise was to stretch the front and I also added dual lobes to draw some comparison to the Nostromo tug. Here is a pic of my SS Aliens Narcissus. WOW! That is beautiful! did you scratch build that??? 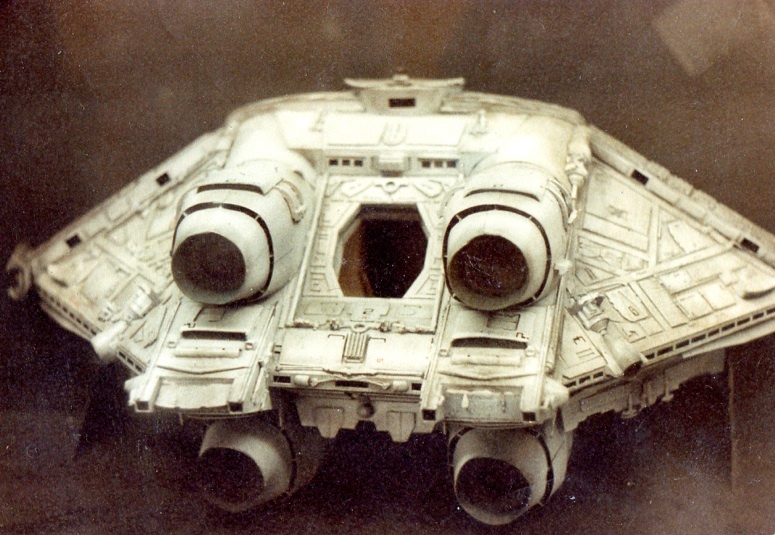 No difference if its scratch built or a kit...That is awesome! For some reason it won't let me fix them in you post, but I reposted them here so they can show up. Not a scratchbuild but a kit that I purchased about 8 years ago. Supposedly only one of about seven taken from the original. It did however take me a year to restore. 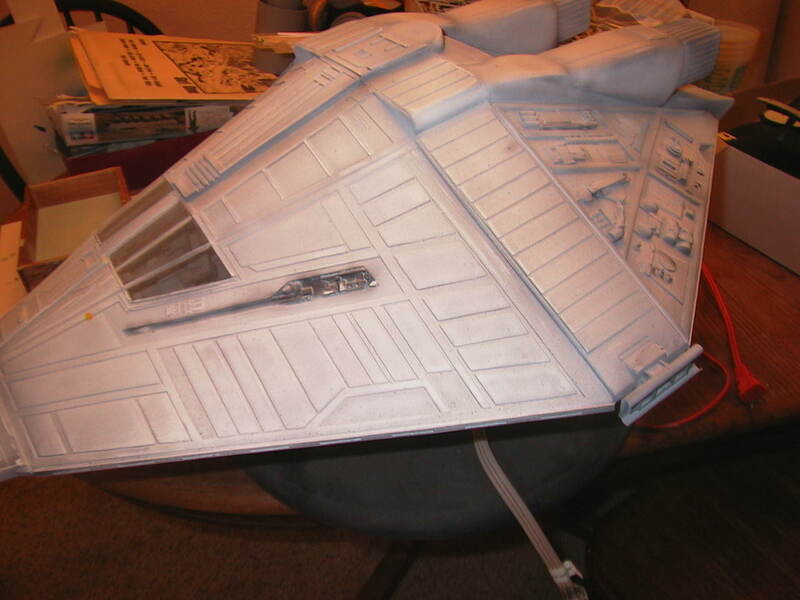 Has a lit scratchbuilt interior. longer nose, different nose detail in the center and lack of detail. Even the tile pattern is different. I think i may need to start on models pretty soon, too many nice models availible. Notice the landing gear aswell? Yes, mine is from ALIENS. I would prefer the original. The one in the red photos is one Martin Bower constructed a couple of years ago. The originals whereabouts is still unknown. I've heard stories that it was stolen. 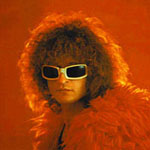 I plan on doing a kit of the original Narcissus if I could ever get the dimensions.